Tabloid journalist Annika Bengtzon is writing about a murder in the port of Stockholm and she suspects that the Yugoslav mafia is involved. However, she also finds links to a foundation that runs a shelter for battered women, Paradiset. Looking for a good story she also meets a welfare official, Thomas, who also thinks that the foundation should be looked into. I will not trash this movie. I did not find it bad at all. It had some action, some suspense, some romance and drama. It had the potential to be a very well balanced film. And the acting and character building is good here, possibly better than Sprangaren. Yet, I did not like it all that much. Why? The action appeared mindless and the film was not dependent on that. A major suspense link was killed in the middle of the movie. Perhaps, the Paradiset link could have been explored in more depth, especially given the title of the movie. The introduction of romance and drama was all right but not what I expected from this series. In the end, it is still a one time watch for someone who appreciates a balanced genre movie with a lot of character study. But this is not really an action movie, a suspense movie or a thriller. 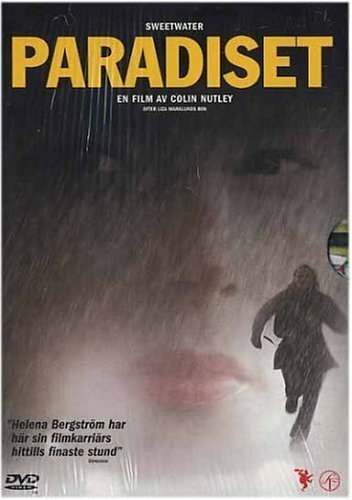 This Swedish action movie (or maybe it is a thriller) is of no interest for those who don't live in a Swedish environment and don't read Swedish evening papers. The first part, "Sprängaren", was better. The intrigues at the editor's office was more funny there, more ironic and with more interesting people. The Yugoslav gangsters here are nothing more than evil characters like those in Donald Duck. Helena Bergström is all right in the main part, but doesn't she have any other ambition than to appear in her husband's, Colin Nutley's, films? He has got quite a register, but that doesn't mean he is good on everything. Especially not in making thrillers.